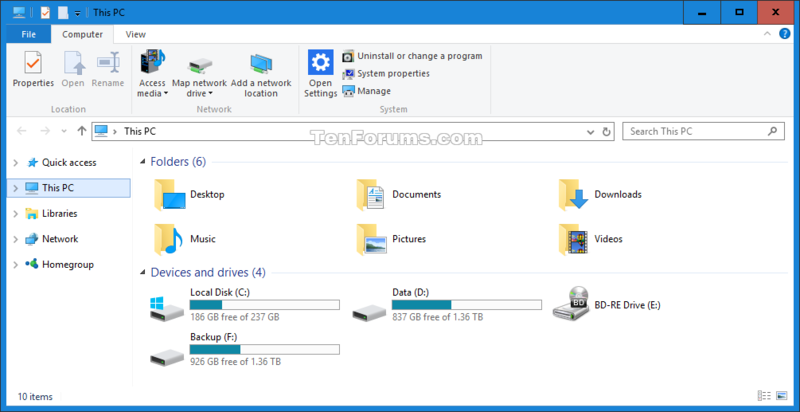 In Windows 10, you can easily save your files to OneDrive and get to them from any device, like your PC, tablet, or phone. 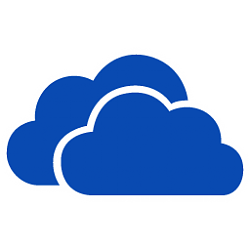 OneDrive is free online storage at OneDrive.com that comes with your Microsoft account. It’s like an extra hard drive that’s available from any of the devices you use. You no longer need to email files to yourself or carry around (and possibly lose) a USB flash drive. Instead, whether you’re on your laptop and working on a presentation, viewing photos from your last family vacation on your new tablet, or on your phone reviewing your shopping list, you can get to your files in OneDrive. Users can’t open the OneDrive app. The OneDrive app will not run at startup for all users. OneDrive doesn’t appear in the navigation pane in File Explorer for all users. Users can’t automatically upload photos and videos from the camera roll folder. You must be signed in as an administrator to be able enable or disable OneDrive integration. This will not prevent users from being able to access files on their OneDrive online at OneDrive.com. This will not affect syncing settings. All editions can use Option Two below instead. 3. Do step 4 (enable) or step 5 (disable) below for what you would like to do. 6. Close the Local Group Policy Editor. 7. Add or remove OneDrive from the navigation pane for what you want. 8. Sign out and sign in, or restart the computer to apply. 9. You can now delete the downloaded .reg file if you like. I'll do it in the morning when my brain is working properly. Thanks for sharing, it's definitely worth trying. This one doesn't work, trying to disable but no way its always there inside File Explorer no matter what way I'm trying. Are you using Windows 10, or Windows 8.1 as in your specs? Which option in the tutorial are you using? Did you restart the computer afterwards? Hello Brink, thanks for response and sorry for my late answer. I used the first option and after the second and did the restart of course on my Windows 10 Pro x64. Odd. It should have removed OneDrive from your navigation pane as well. If you like, you can also use the tutorial below to remove OneDrive from the navigation pane. Due to the recent changes in storage size policy I decided to move to Dropbox. I clicked OneDrive icon on the taskbar, in the settings I disabled "run OneDrive when computer starts" and I also disabled the OneDrive sync option. My plan is to use "C:\Users\<user>\OneDrive" folder as DropBox folder. However, every time I open "C:\Users\<user>\OneDrive" in explorer, the window pops up that prompts me to enter OneDrive login information.. Hehehe, I certainly dont want to use OneDrive anymore, how do I get rid of this?